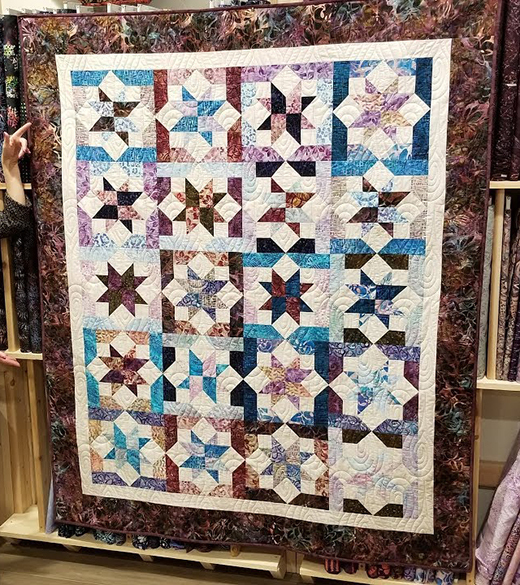 Simple piecework and gorgeous stars make this quilt a stunner, Do you see the stars? Or do you see the plus signs? Or do you see the background diamonds? It’s all in how you look at it. Whichever you see, it’s a beauty! This Fall Equinox Quilt designed by Cozy Quilt Designs for Jordan Fabrics, The Tutorial is available for free.